Screen candidates automatically, with increasing accuracy. Get candidates screened, matched and stack-ranked based on your hiring history or job requirements. Optimize your talent pool. 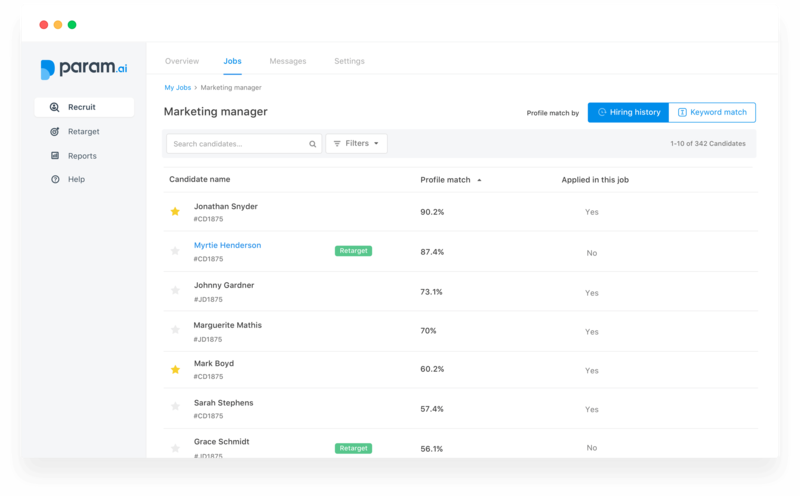 Build talent pipelines instantly using AI to find top prospects from your existing database. With a single switch, Param integrates with your ATS/CRM and gets working on the data. Start following data-driven hiring today! We will get in touch with you shortly to schedule a demo with you.